Oakland County, MI — The battle over medical cannabis is heating up in Michigan, and some law enforcement figures are getting desperate to block progress. It seems that one county sheriff has even gone so far as to threaten a lawmaker with violence. The Free Thought Project contacted Sheriff Bouchard to request he speak on these allegations. However, our message was not immediately returned. We also reached out toe Eileen Kowall, and have yet to receive a response from her office as well. Medical cannabis was legalized in Michigan in 2008, which allowed people to grow the plant for themselves and other registered patients as “caregivers.” However, medical dispensaries have never been allowed and the state Supreme Court ruled in 2012 that they can be shut down as public nuisances. There are now about 23,000 caregivers and 96,000 patients in Michigan. Lawmakers are seeking to allow the opening of dispensaries, which would benefit patients by providing cannabis products with precise, clearly labeled doses. Edibles and products with only cannabidiol (a non-psychoactive ingredient) would also become more available. That type of bill failed last year as law enforcement voiced strong opposition, but it has a better chance this year, having already passed the House. Some cops are on board, but unsurprisingly it comes with a hitch. They will support the legalization of dispensaries only if the state shuts down caregivers. Cops just can’t stand the idea of giving people too much freedom. 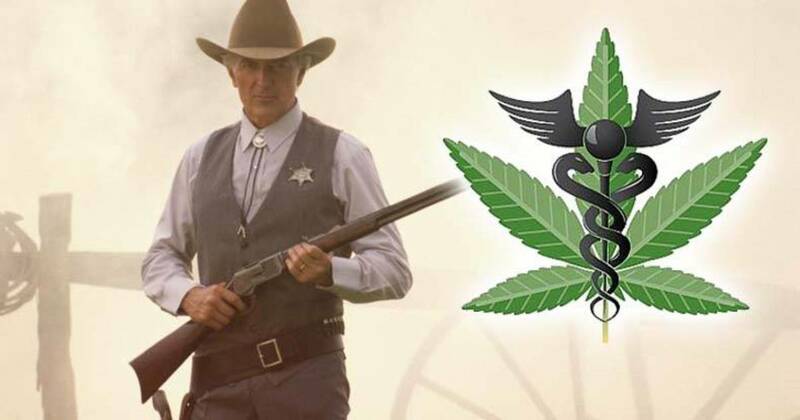 “Once the system is up and running, there will be no need for caregivers to grow a product since the patient will be able to access marijuana at the dispensaries,” said Ingham County Sheriff Gene Wriggelsworth, who testified on behalf of the Michigan Sheriffs’ Association. This would be difficult, though, as a ¾ supermajority vote would be needed to amend a voter-approved law. Rick Thompson, a board member of the National Organization for the Reform of Marijuana Laws (NORML), says this attack on caregivers by law enforcement has been a constant concern since 2011. Other demands being made by law enforcement are to ban home delivery of medical cannabis to patients, ban internet sales, require bonding for product transporters, and allow local police and county sheriff’s to inspect medical cannabis facilities. They even said that police should inspect caregivers and require licensing, raising the specter of cops barging into the homes of legitimate medical cannabis growers at will. Law enforcement also wants a system for “enhanced roadside detection” of cannabis, even though these tests have not proven to be reliable. Clearly, Michigan cops are in a state of anxiety about losing this front in the War on Drugs. Threats of violence, like those allegedly made by Sheriff Bouchard, indicate just how desperate some cops have become as lawmakers clear the way for freedom and medical advancement.